Hobbits are such nesters, and I consider myself to be a kindred spirit in that respect. 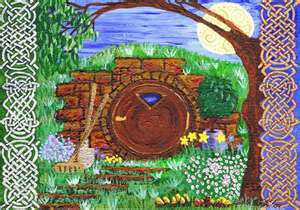 I think I am a little more adventurous that most hobbits, but my home has always been my spiritual refuge just as the hobbit hole is to a hobbit. Right now I am reading a book by Arin Murphy-Hiscock called The Way of the Hedge Witch: Rituals and Spells for Hearth and Home. This is one of those books that I occasionally find that has something on every page that resonates with my own beliefs. I love it when that happens. 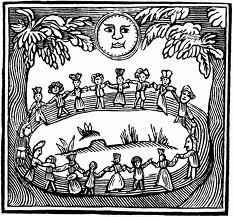 I am finding that so many things I have done instinctually are in alignment with the ways of the author’s definition of a hedge witch. I have always set up little altars in different rooms and recognized the sacredness of the heart of the home. What has struck me as enlightening about this book is that Arin brings up the fact that we don’t really need to make our homes sacred because they already are sacred. What we need to do is recognize them as being sacred spaces where we can go to recharge our spiritual batteries. And, indeed, the home has a kind of energy that we can draw upon to help us in all of our undertakings. There is a lot more to this book than just recognizing the sacredness of the hearth. I hope you will read the book, especially if you are a nester like me. What I am in the process of doing right now is setting up an organized plan for my daily devotions. I have so many good intentions, but my days get overcrowded with things that come up to distract me from doing what I feel to be most important. I have a healing altar, a kitchen altar, an ancestor altar, a garden altar, a meditation altar….so many altars! But do I use them consistently? I would love to adhere to a pattern of using my altars even if it’s just for a few minutes at a time. I think the secret may lie in establishing more of a flow to my home life. I need to stay in the moment and regard all of my so called chores as magickal actions that continue to recognize and reinforce the sacredness of the hearth. My ancestor altar is located in my bedroom. I have set up a table where I sit and do divination such as tarot and scrying. Often I will sit and talk to those in spirit while I do this. 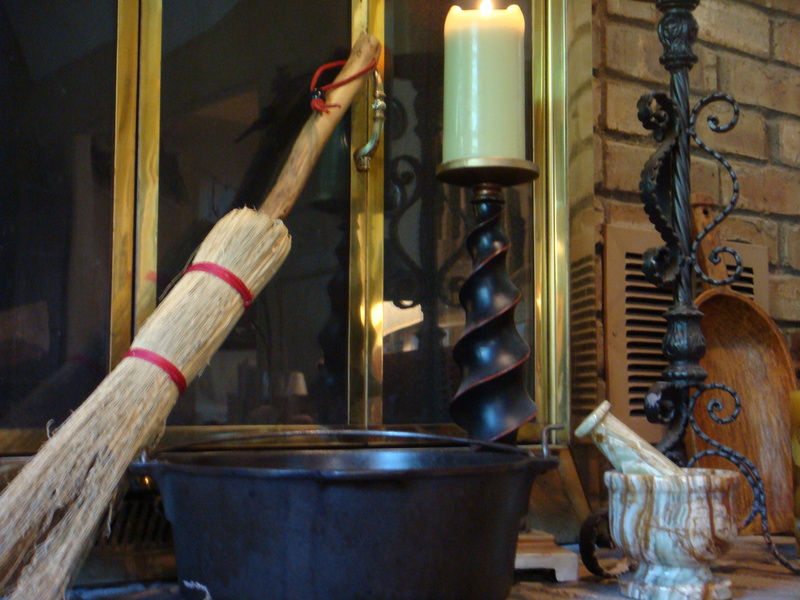 In the kitchen I light a candle on my kitchen altar before cleaning or cooking (both magickal acts). I am getting better at going to my healing altar and lighting a candle before sending Reiki to those in need, and I even spend a few minutes most days sending healing energy to the planet. Sabbats and full moons I love to spend outdoors in my garden. I feel like the whole yard just glows at times. The garden is an extension of the sacred space that is my home. My most recent altar I set up around my bathtub. The tub may seem like an unlikely place for an altar, but with candles lit all around and essential oils in the water it is a perfect spot for meditating and unwinding. I collect mermaids so they decorate my tub area and acknowledge the ocean goddess. Little by little I am making progress on cleaning up the small piles of clutter here and there. How does it happen? I clean up one pile just to have another one grow someplace else! I truly believe in the precepts of Feng Shuy and struggle to clean up sources of negative energy (clutter!). I guess my house is just trying to keep me on my toes! It wants me to continue to monitor its energy on a regular basis. Just yesterday our water heater broke. This morning the filthy garage floor got a good washing with my sweeping away the water. We will also need to clear away some of the “stuff” in the garage for a new pipe to be installed. Just another way for the house to say, “hey, pay attention here!”. Do you dislike your home? Maybe you just need to recognize its sacredness. The hearth and home has always been a special place to connect with the divine. I think the cliché, “your home is where your heart is”, could be reversed in this instance to, “your heart is where your home is.” Go to the different areas of your home and listen to the energy there. What does it say to you? “Fix me?, clean me?, use me?, recognize me?” By listening to your home you will discover secrets you perhaps never knew existed. May you be blessed to discover the sacredness of your hearth and home! Have you ever had two friends who you couldn’t wait to have meet each other? You just knew that they would hit it off and have a lot in common? On the other hand, have you introduced two friends to each other and realized that there was either no chemistry or some very bad vibes between the two of them? It’s almost like you could feel the energy change all around you and there was a sense of uneasiness when the two of them were together with you in the same room. The elements all possess a certain energy. 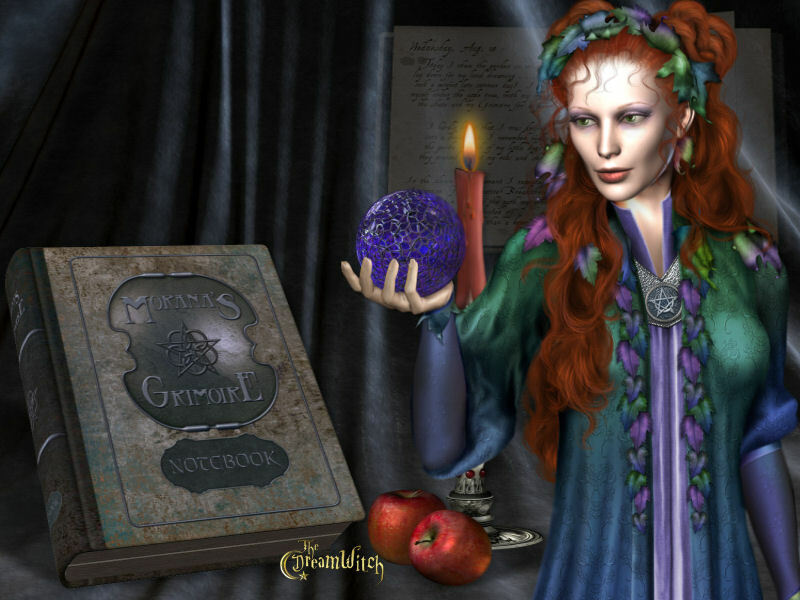 By discovering the nature of that energy and calling upon the energy to work with your own energy in spellwork, you are using the magickal correspondence of that element. The wrong elements are not going to achieve the results you want, which is why it’s important to do your homework and check those correspondences. Following are some links to some tables of correspondences. I like to consult tables quite often. In fact I own an excellent book called The Magician’s Tables, A Complete Books of Correspondences by Alan Richardson. It gives detailed correspondences for just about any need. I find that knowing the correspondences and the energies that surround me daily helps me to understand what is going on in my life a little better. Some days I know I need to be on the defensive, and incorporating energies to protect and defend are the ones I need to call on. Other days I can relax and have fun, so using some love and happiness energies will be right. When I am in my business mode I utilize energies for abundance and financial prosperity. In this way I can enjoy my experience here in this plane and better find my way along the path. If you know of other links or books dealing with correspondences please feel free to share them! Angels, elementals, guides, gods and goddesses…in recent years there has been a lot of discussion about our helpers in the spirit dimension. Often we get confused over their definitions and roles in the universe and I, for one, sometimes question the source of some of the definitions. There are ancient texts that mention these beings, and to me ancient texts seem to have passed the test of time, so to speak. There is a lot of channeled information floating around these days, especially in cyber space, and some of it seems to ring true. I guess when it comes to channeled info you have to trust your intuition and the advice of your own guides. Recently I read an article which contained channeled information about the roles of humans, elementals and angels that made a lot of sense. It also got me thinking about some other possibilities that might be true about the outcomes of our interactions with angels and elementals. The first thing that the article covered was the actual roles that the three groups of beings play. We humans were put here on Earth by the Divine Spirit to bring Paradise to this planet. Yeah, I know, we messed up somewhere along the line! But that is our role. We are the ones that think up ideas. We are the creators and someday future gods and goddesses, because creating is one of the things that deities do so well. One might even argue that we already are gods and goddesses and we’re just here to practice our creating skills. So bringing Heaven to Earth is our job. Elementals are our partners in the creation process. We think it up and they supply the energy to bring it into 3-D. All things on Earth, and in fact in this dimension, have an elemental assigned to take care of them. Flowers, fish, oceans, rocks, you and me….yes!….each of us is assigned an elemental to care for and supply energy to our physical bodies when living in this plane. The person that channeled this information pointed out that our personal elemental is ours for keeps whenever we are in a physical body. Between lifetimes they get to take a vacation…or a coffee break…depending on how long we are in spirit. SO…we as the creators can think thoughts that cause good health, and our elemental can make it so. Your elemental is like a battery source for your ideas. Pretty cool. This seems to explain a lot about the whole manifesting deal. Your thoughts really ARE things! Take a moment to thank your loyal elemental friend for the eons of service they have provided you! The author of the article acknowledged how we are definitely NOT creating a paradise here on Earth. Tornados, earthquakes, famines, not to mention disease and all kinds of nastiness just happen. Well, we caused the whole mess with our thoughts. And we are also starting to straighten out some of the not so paradise-like conditions with more enlightenment and a little help from our friends. You see, the elementals are also meant to support and nurture…think of flower fairies. They are doing all they can to hold things together so we don’t blow ourselves into oblivion in the mean time. It wasn’t quite clear how we began to start with the negative thoughts that caused all the chaos in the first place. The author didn’t mention that in the article just that, after the fact, the Earth’s energy got so dense and heavy that we were no longer able to communicate so well with the angels and elementals. You might say it’s a good argument for the whole Adam and Eve story. So where do angels fit in? Angels are aspects of the Divine Spirit. They are Spirit’s way of bringing us and the elementals what we need in the way of peace, love, protection and whatever other aspect of Spirit we may be in need of. Angels are Spirit and yet they are separate aspects of Spirit. For one thing, angels can evolve. They evolve by serving, but they can’t get involved to serve unless asked to do so by humans or elementals. Elementals seem to have enough sense to know when to ask for help, but many humans don’t. The Earth’s heavy atmosphere seems to make commnunication bewtween us and our spirit friends very difficult. Another thing the author mentioned was how angels seek out peaceful places with great energy to hang out when things start to get too “dark”. So if you want to have lots of angels around, make your home or garden a peaceful and beautiful place! And think as many beautiful and loving thoughts as you can, and angels will be your best buds. 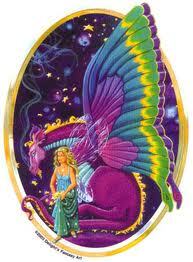 Angels, elementals and humans, we are all aspects of the Divine Spirit. Everything is connected. Everything!